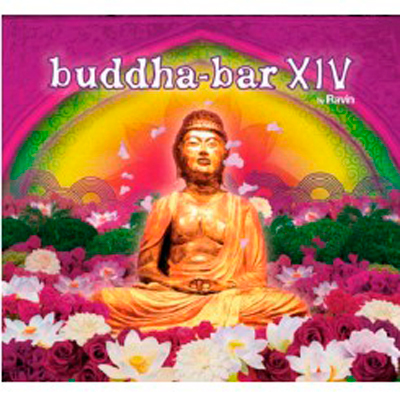 One of The Male Model Music Project's readers favourite music compilations; Buddha Bar releases its 14th instalment!! Mixed once again by DJ Ravin, Buddha Bar XIV presents a new selection of sounds inspired by Bollywood and its unique passion for rhythm and colour. A thrilling universe of Indian dreams. The first CD entitled 'Dhimsa' (this term refers to a traditional dance form in India, to be specific, a dance of young and old, men and women of Valmiki, Bagata, Khond and Kotia tribes) features euphoric and colourful tracks from Ambray, Cayetano, Amanaska, Pierre Ravan and many more. The second disc 'Bhangra' ( a traditional music and dance from Panyab, located in the north onf India, mixing various dance styles from the region and popular upon the arrival of spring) presents a spicy selection featuring Nacho Sotomayor, Mikael Simpson, Dennis Dallan and Consoul Trainin.